Finding your dream home has certainly evolved over the years. It started with word of mouth between family, neighbors, or friends. Maybe one of them knew someone that knew someone who was “selling the cutest little house”. Next came newspaper ads which made it possible for many more people to find out about homes for sale, but they were limited by small photos and short descriptions. The advent of the internet brought considerable advancements to home searches. It made it possible to search limitlessly for homes – of any kind, in any area – right from your keyboard. It was the cutting edge of home search technology…It was, until now. 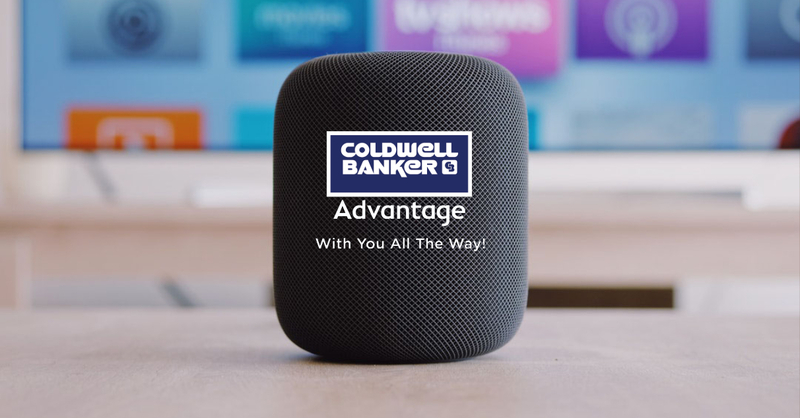 When you tell your Amazon or Google smart speaker those words, it activates the brand-new Coldwell Banker Advantage smart speaker skill, and that skill opens up a whole new advanced way to find homes…all with just your voice. Based on all that information, “Alexa” (or “Google”) will tell you about the top three homes that match and instantly email you information about those listings and also include a link to ALL of the homes available based on your search. If you’re already working with a Coldwell Banker Advantage agent, you’re also connected to them through the skill link. This allows you to get additional information from your agent about a home, and even request a showing right through your smart speaker. This new approach to home search isn’t just cool and convenient…it’s the future! It’s estimated that a majority of all households will have a smart speaker by the year 2021! When you compare how quickly this is happening to the adoption of smartphones – which took a little over a decade – you start to understand the impact these devices are making, not just in real estate but in our society at large. Just like the radio, TV, and computer before it, the smart speaker is becoming the ubiquitous must-have item for the home. At the same time, our new skill makes it the must-have item to find a home. If you have an Amazon or Google smart speaker and are thinking about buying a home, start Coldwell Banker Advantage’s new “Triangle Real Estate” Skill. You’ll become a part of a new home finding future. The Triangle Real Estate Skill by Coldwell Banker Advantage just recently launched and is looking to be a big success, but we’re not done. Our commitment to being With You All The Way, means being there before, during and of course after the sale. With that in mind, we are also launching a companion skill called Coldwell Banker Advantage Concierge. Need an electrician? A plumber? Even a landscaper? The Coldwell Banker Advantage Concierge skill will direct you to any kind of service provider you need anywhere in the city. And yes, it’s all available at the tip of your tongue. Just say the word.